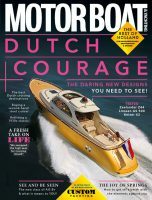 Join in our weekly photo challenge – can you Spot The Boat in this glamorous catalogue image? Spot The Boat is the name of our weekly photo challenge here on MBY.com, in which we challenge your boat recognition skills. All you have to do to win our everlasting admiration is name the make and model of the boat in this obscure brochure image.